Rachel Philip (21) with her two daughters Matilda (4) and Inet (8 months) at the City Mission refugee center. She ran away from her husband, a policeman, who beat her nearly every day, often threatening her with a bush-knife or a gun. 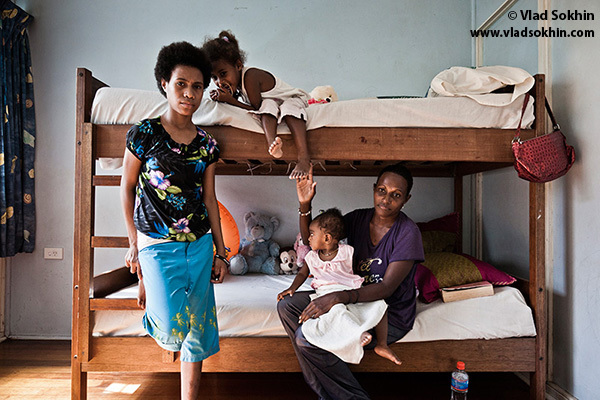 Rachel and the girls share a room with 13-year-old Deslin Max (on the left), who was a victim of sexual abuse by a stranger on the street of Port Moresby.